M.I.T. 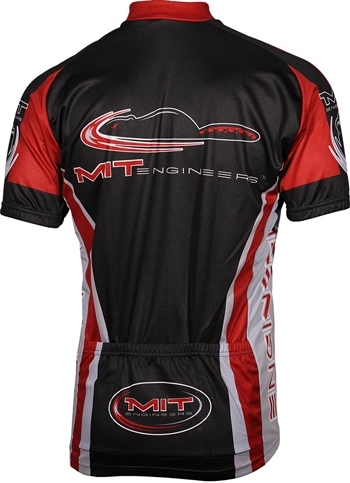 Engineers Cycling Jersey | MIT Bike Apperal. This M.I.T. Cycling Jersey is meticulously constructed from 100% treated micro fiber polyester for quick-drying, moisture transfer ensuring total riding comfort. Three rear cargo pockets provide easy storage and neck zippers allow adjustable ventilation. Show your cardinal red and grey colors and go Beavers! Available in S, M, L, XL, XXL sizes. 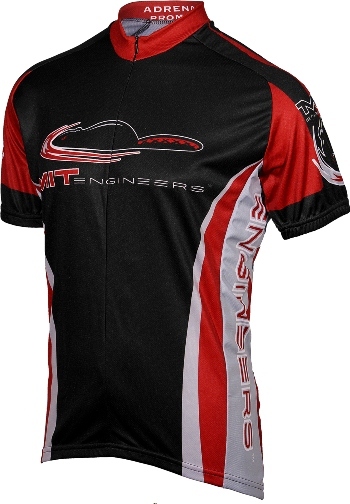 MIT Jersey is made by Adrenaline Promotions. This jersey is typically shipped within a couple of business days directly from the manufacturer. Additionally, like all of our products, it carries a 100% customer satisfaction guarantee. 1. Free Shipping on all US orders - no minimum order like other sites. 2. All of our products carries a 100% customer satisfaction guarantee - simply return or exchange your product - no questions asked. 3. Excellent Customer Service - any product or order questions please call our expert staff at 877.906.8612.